Planning a visit to West Cork Ireland? The biggest question to ask yourself is what should I eat? What to eat in West Cork is an important question since the region was named the Top Foodie Destination in Ireland in 2017. I had the opportunity to visit this southwest corner of Ireland on a day trip while en route between Killarney and Cork City. 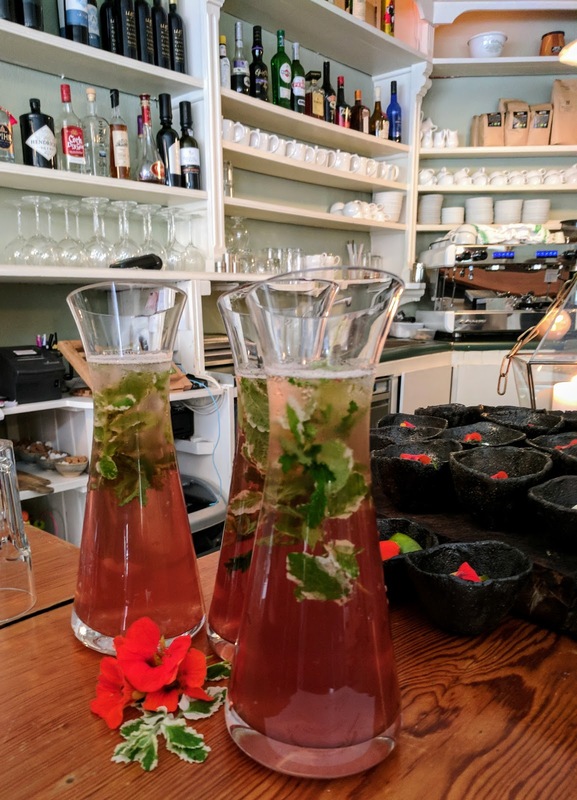 Read on and join us as we experience a taste of West Cork on a whirlwind bus trip arranged by Failte Ireland and Cork County Council in conjunction with the Travel Bloggers Exchange Conference. 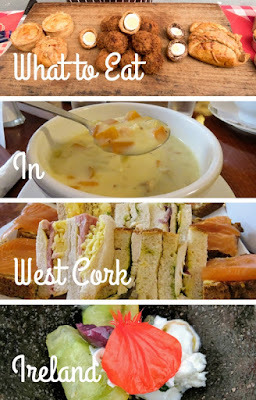 We were excited to begin our foodie day trip to West Cork. How far is West Cork from Killarney? It takes about 90 minutes to get from Killarney to the West Cork town of Skibbereen. In our case, we had to contend with rush hour on the way to West Cork when we encountered this awesome herd of cattle crossing the road. We started our day trip to West Cork at Uillinn, The West Cork Arts Centre in Skibbereen. Sweet scones with local butter and jam followed by savory pastries including a spicy chickpea-based creation with a flaky crust was the perfect breakfast after the ride from Killarney. Kalbos Cafe in Skibbereen had provided our first course out in the courtyard at Uillinn. 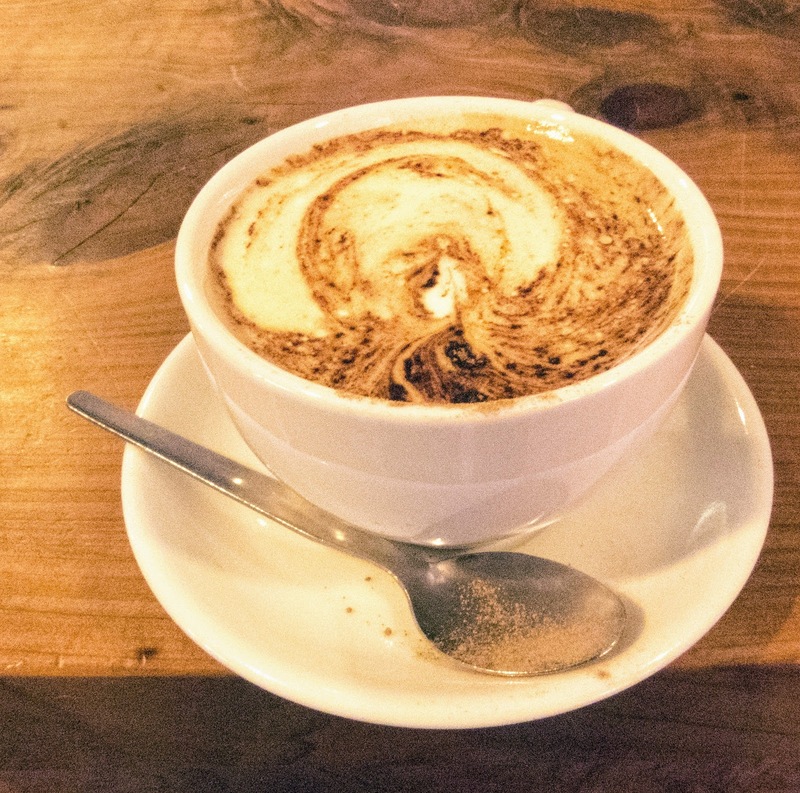 We couldn't resist peeking inside the cafe and sitting down with a finely crafted cappuccino and coffee cake with cream. Kalbos offers a wide selection of sweet treats to start the day. 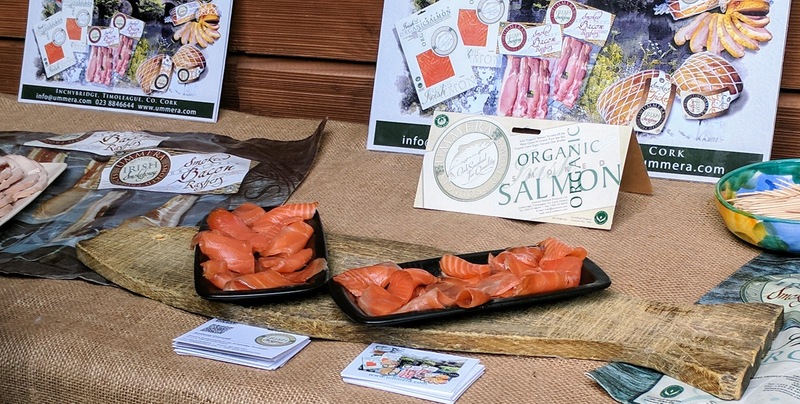 At our stop in Uillinn, artisan food producers from all around the area had gathered to give us a taste of West Cork. Finely smoked duck from Skeaghanore was a savory counterpoint to the sweets we'd tried earlier. Sally Barnes' Woodcock smokery was also on hand to give us a taste of their award-winning smoked salmon. West Cork also offers delicious gubbeen cheese and cured meats, the perfect savory snack during a visit to the region. We learned on our day trip to West Cork that the region was popular with British hippies in the 1960s. Many people moved over to communes in West Cork during that era and then settled down to have families. What an intriguing story. I did notice a fair number of British accents among the people we met on our visit to West Cork including Paul Phillips from West Cork Pies. Paul is a rather recent arrival on the West Cork food scene though, retiring to Cork from the UK about 5 years ago. 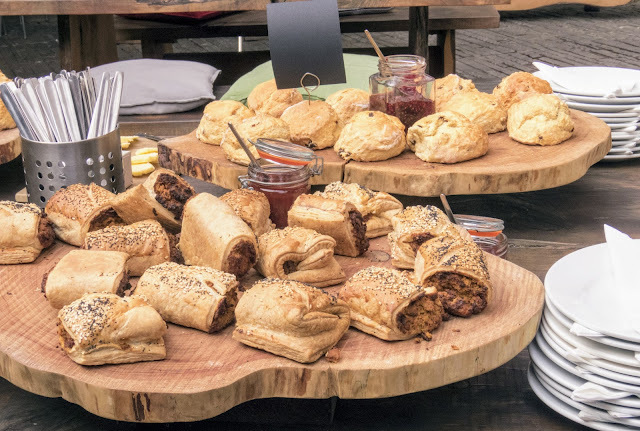 Paul let us sample Scotch eggs surrounded with a layer of black pudding and hearty meat pies. We discovered West Cork Pies on the shelves at our local Fresh supermarket when we returned to Dublin and have enjoyed this West Cork comfort food on a couple of occasions since our visit. 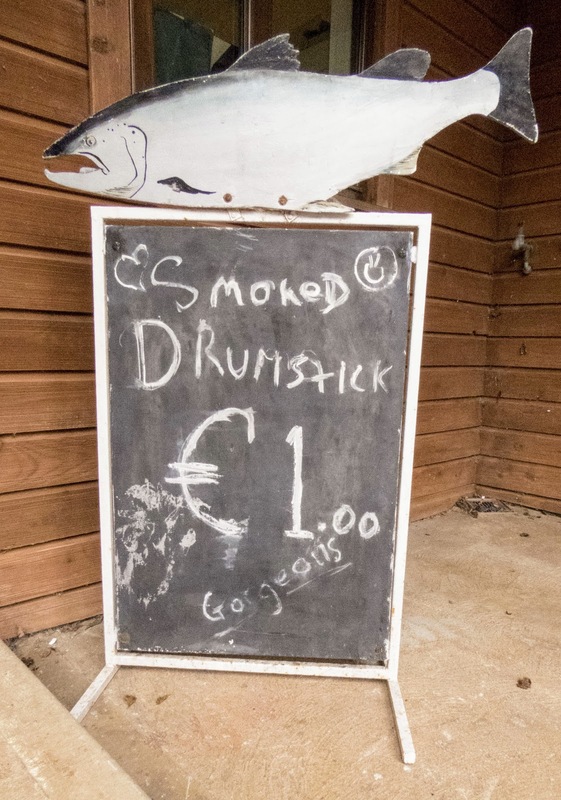 What food is West Cork most famous for? It has to be black pudding. We had the pleasure of tasting black pudding (also white pudding) from Rosscarbery. We really enjoyed their spicy take on Irish blood sausage. We had the benefit of Failte Ireland to bring West Cork food producers to us. However, you can totally reproduce our experience by visiting the Clonakilty Farmers Market on a Friday (9 am - 2 pm). Many of the people whom we met while eating our way through West Cork set up a stall at the market in the West Cork town of Clonakilty (also known as the Wild Atlantic Market). The West Cork town of Skibbereen is also home to family-owned J. J. Field and Co. Now part of the SuperValu family of shops, Field's is a West Cork icon. We had the privilege of touring the shop and sampling many of West Cork's finest local foods with third generation family members who are running the store. Everyone who we met at Field's felt like a member of the family. Even though Field's has grown considerably over the years and is now a large supermarket, they still maintain a pride in West Cork and showcase all the great things to eat that are sourced nearby. We had the pleasure of sampling local cheeses: raw, pasteurized, and smoked. I thought that Wexford in the southeast of Ireland is the most famous destination for Irish strawberries. 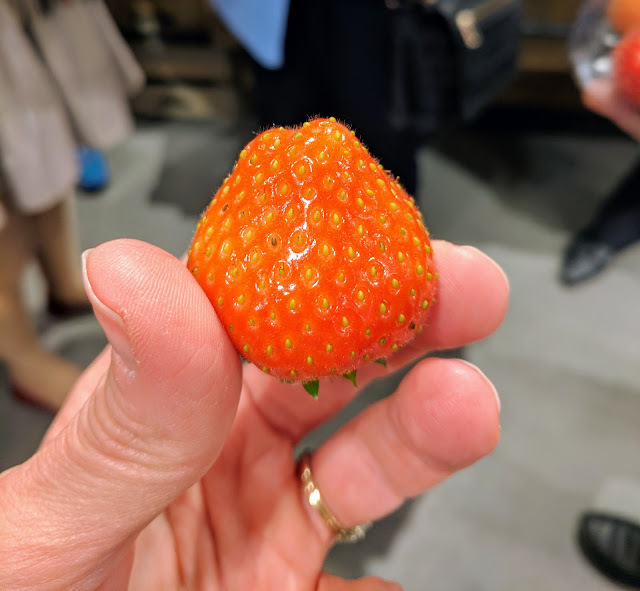 However, Field's was quick to point out that West Cork produces some of the sweetest and finest berries in Ireland. Field's is also known far and wide in Ireland for their white-sliced pan. 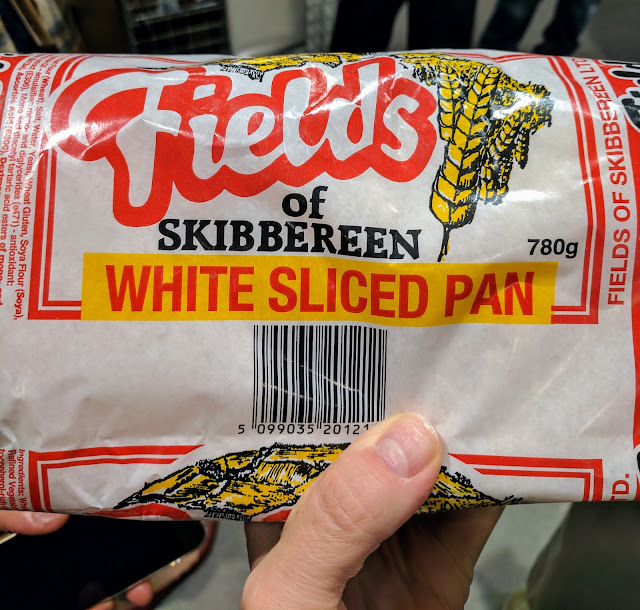 Field's of Skibbereen is no ordinary white bread. The slices were far thicker and much more dense and moist than the Wonder Bread I grew up with in the U.S. We bought a loaf for ourselves so we could make peanut butter and jelly sandwiches for our train ride back to Dublin. It's true that we would be eating West Cork food for days to come. The next stop on our day trip to West Cork from Killarney was Emmet's Hotel in Clonakilty. We sat down in a historic dining room updated in modern upscale style while still keeping a cozy and homey air. We tasted one of the creamiest and chunkiest seafood chowders I've had the pleasure of eating. We combined our soup with a variety of finger sandwiches. I'd like to come back and visit West Cork for a longer trip at some point. I could just imagine staying at Emmet's Hotel and sitting down to read a book and digest all that wonderful West Cork food in the hotel sitting room. 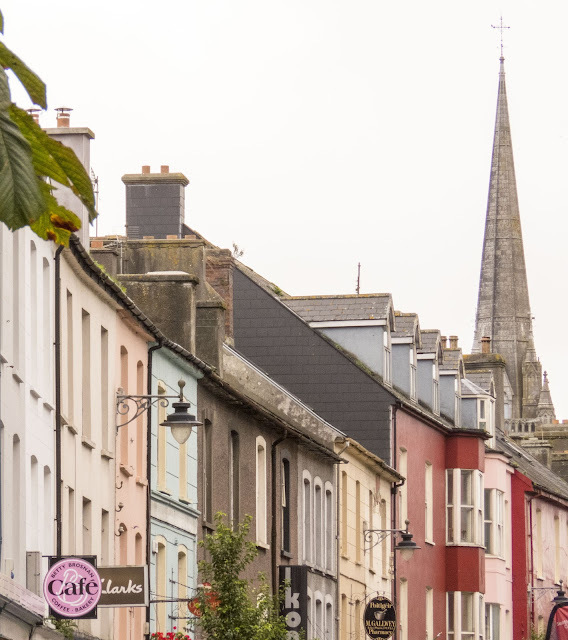 Clonakilty, the principal town in West Cork, features a curved high street lined with colorful buildings. We made our way to De Barra's Folk Club. 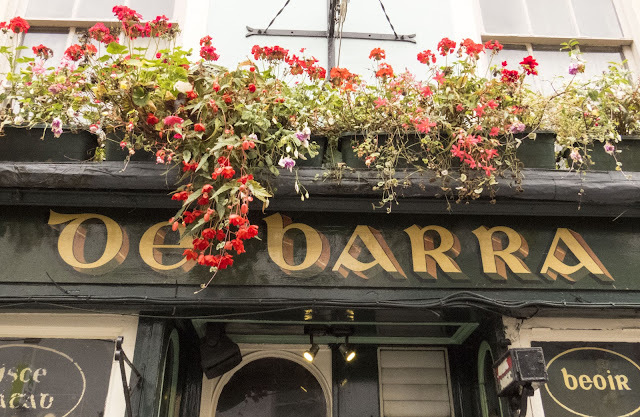 De Barra's is known for long standing associations with famous musicians like Noel Redding of the Jimi Hendrix Experience. 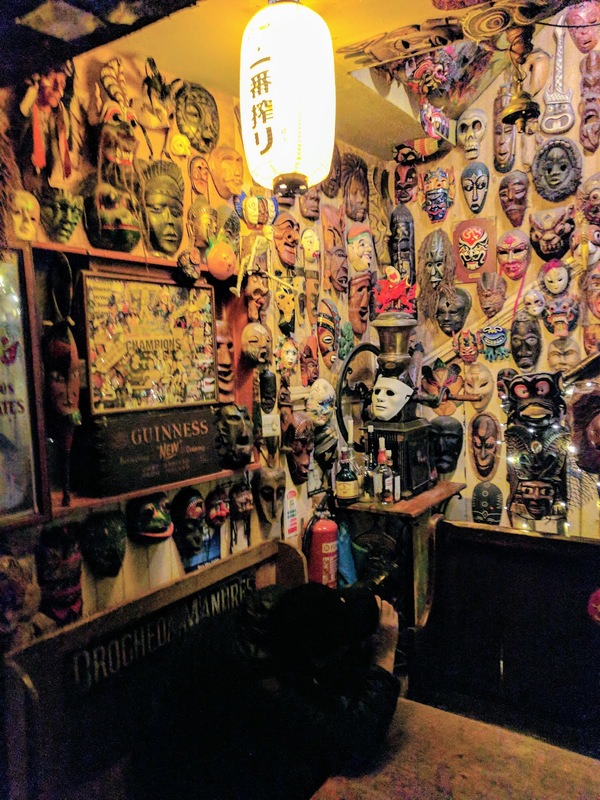 The decor at De Barra's made me feel sensory overload (in a good way). This pub in Clon seems like a great place to catch a gig. Of course, we were in town for a West Cork food experience. How does De Barra's fit in? They showed us how to pour a perfect pint of Guinness. Some things are universal in Ireland. We discovered that the West Cork town of Timoleague is an up and coming foodie destination in Ireland and is getting a lot of buzz right now, especially since the village is reported to have a population of less than 500 people. We visited Monk's Lane Bar and Restaurant in Timoleague, a Gastropub serving Irish flavors with international flair. We especially enjoyed the lamb quesadillas. It's not just the West Cork food at Monk's that draws people in. The pub features a cozy outdoor patio seating area. 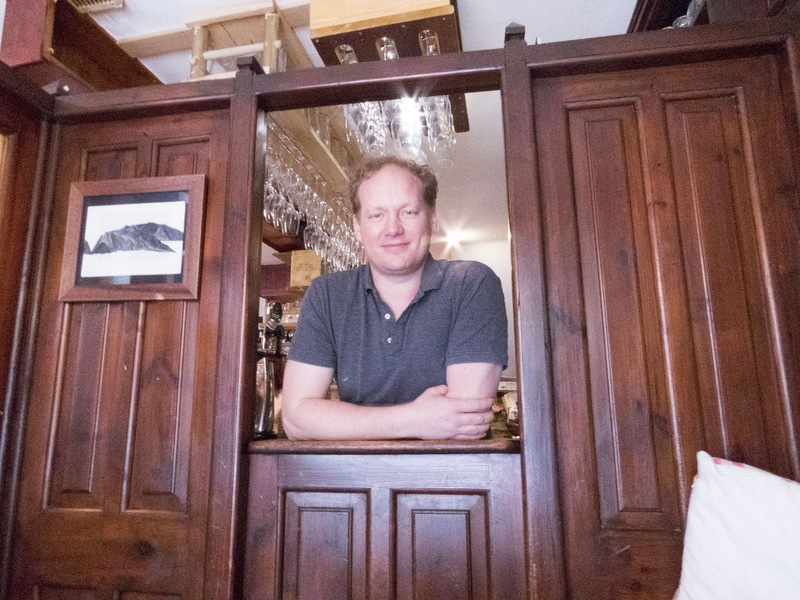 You might even see owners Gavin and Michelle O' Mahony peeking into the light-filled snug at the front of the restaurant to check on your every need. Just next door in Timoleague, Dillon's restaurant serves imaginative high-end cuisine created by renowned chef Richard Milnes. 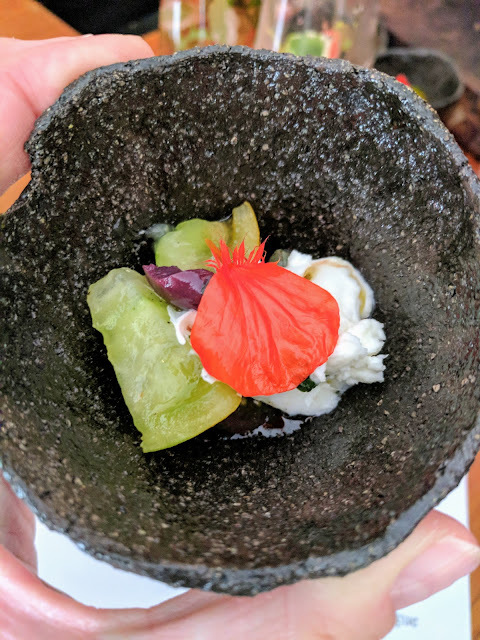 We sampled buffalo mozzarella with tomatoes and flower petals from the garden paired with an elderberry fizz. Many of the ingredients for Milnes' dishes don't have far to travel. We even got a peek at the garden out back of the restaurant which featured heavily textured squash, riotous flowers, and a green house full of tomatoes. Dillon's is West Cork food at its finest. The final stop on our day trip highlighting the best places and things to eat in West Cork was Ummera Smokehouse for a bit of smoked salmon (self-proclaimed: "gorgeous!"). Ummera is a family run business with Anthony Creswell at the helm. Anthony gave us a tour of the smokehouse and the process for making Ummera's fine smoked salmon. 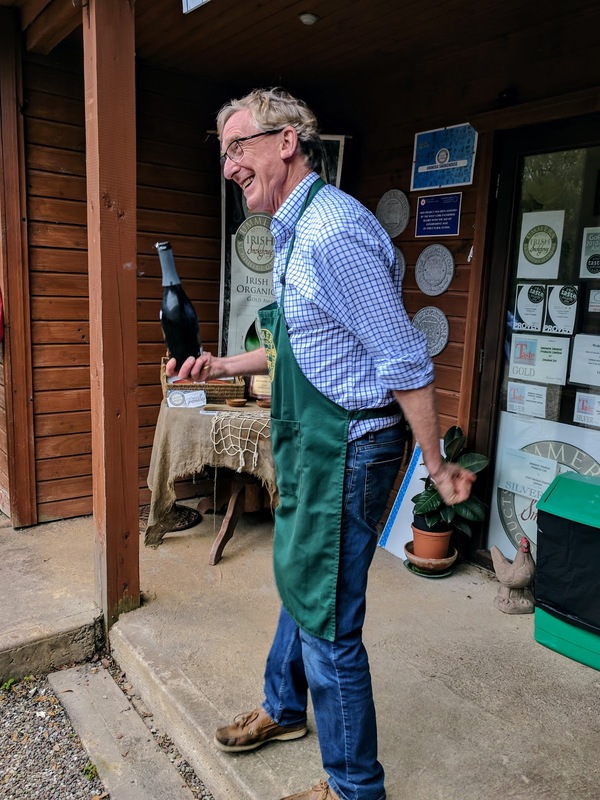 Afterward, we were treated to some delectable samples of salmon and other smoked meats paired with a sparkling cider playfully poured by Anthony himself. It's not just the food that makes West Cork so special, it's also the people. 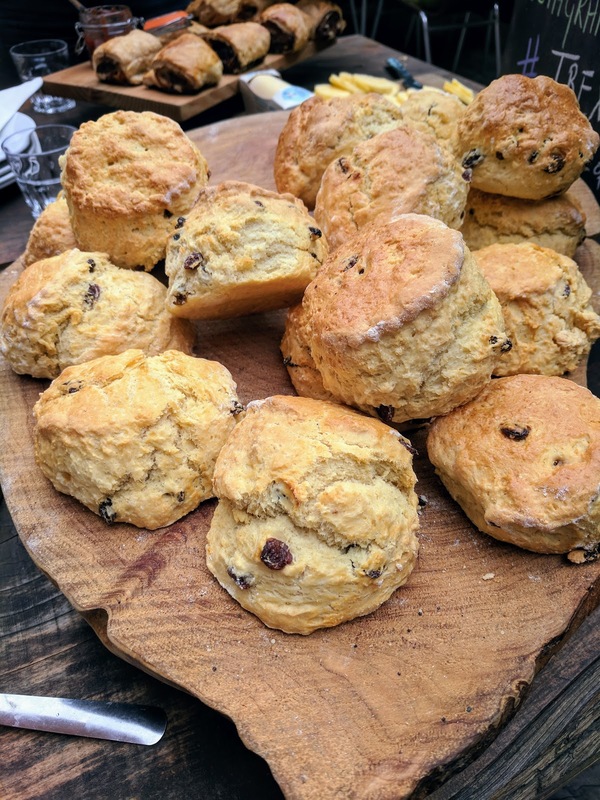 I'm going to conclude this post about all the great food we discovered on our day trip to West Cork on a sober note. We had the opportunity to visit the Skibbereen Heritage Center during our visit. 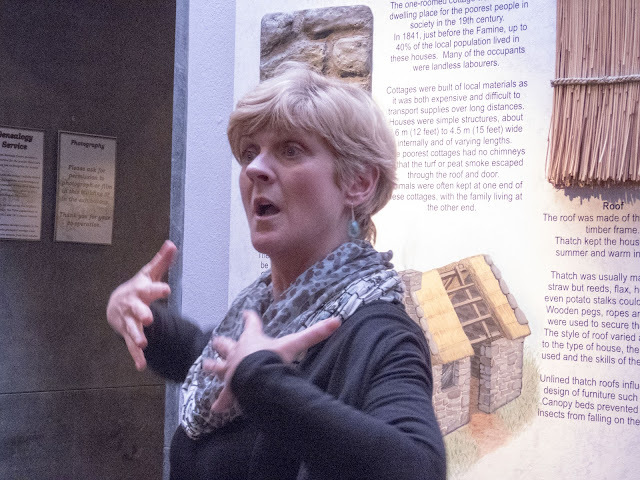 Terri Kearney, manager of the center and co-author of Skibbereen: The Famine Story (2015) gave us a personal tour. 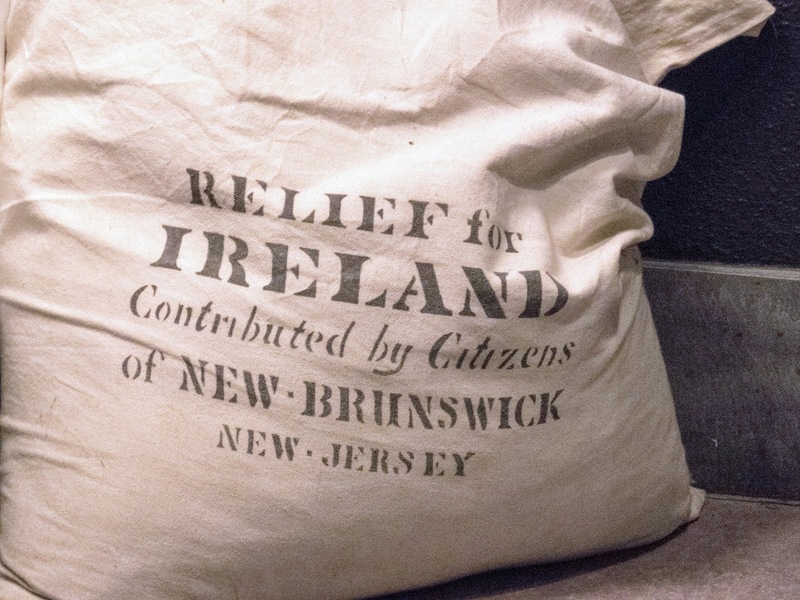 As she walked us through the exhibits, Terri brought to life the story of the hardship that befell Ireland in the mid-1840s when the potato blight sparked a multi-year famine across the country. West Cork was one of the regions hardest hit by the Great Famine. I recommend a visit to the Skibbereen Heritage Center to pay respects to those that struggled simply to eat, many of whom lost their lives. Let's not take for granted our full bellies and the wonderful food available in West Cork today. Thankfully much has changed in Skibbereen and West Cork since the Irish Potato Famine but it's important to honor the past to really appreciate the present. There you have it: A whirlwind tour of what to eat in West Cork Ireland in a day. If you have time after your visit to West Cork, I recommend that you spend a day or even a weekend in Cork City, there's plenty to do and see. Have you visited West Cork in Ireland? What were your favorite West Cork towns? We'll definitely be back for a longer visit next year to sample more awesome West Cork food! Disclaimer: Our bespoke group day trip to West Cork was arranged by Failte Ireland and Cork County Council in conjunction with the Travel Bloggers Exchange (TBEX) conference. All the experiences were complimentary but the opinions expressed in this post are my own. Find out what to eat in West Cork Ireland, a region recently named the Top Foodie Destination in Ireland. Sample West Cork food in the West Cork towns of Skibbereen, Clonakilty, and Timoleague.